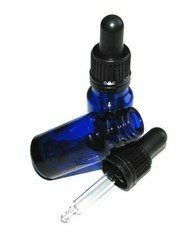 Elemi Essential Oil. Discover Its Properties And Uses In Aromatherapy. The first time I smelt elemi essential oil I was captivated! It perhaps stems from the fact that frankincense is one of my favourite essential oils and its aroma is somewhat the same but with hints of lemon.....mmmm! In the 20th century it became more difficult to get hold of frankincense essential oil......drought and war being the main reasons. It also became very expensive. Elemi was often used in its place, and has since gained value in its own right. I often use elemi and ylang ylang essential oils together when making our natural soap. Not only is the smell absolutely divine, but the skin benefits are fantastic too! Once you start using Elemi essential oil I am sure you will become as hooked as I am! Fresh, balsamic and spicy with hints of citrus. Elemol, elemicine, dipentene, terpineol, limonene and phellandrene. Frankincense, geranium, ginger, cardamom, cinnamon, lavender, rosemary, myrrh, sandalwood, galbanam, sage, melissa, orange, rosewood and ylang ylang. Analgesic, antiseptic, antiviral, bactericide,expectorant, fungicide, tonic and vulnerary. Elemi essential oil is calming and lifts the spirit, so is especially useful for stress-related conditions and nervous exhaustion. It is said to give feelings of peace. Its antiseptic properties make it useful for helping to heal skin conditions, cuts and wounds. It is very helpul in cases of chest infections, catarrh, sinusitis and bronchitis - the expectorant and antiviral properties come into play here. It has a rejuvenating effect and is great for wrinkles! Also good for helping to reduce scarring and acne. Elemi is a harmonising oil in as much that it works on bringing together mind, body and spirit.......a lovely essential oil to meditate with. It is a good oil to have to hand because it is non-toxic, non-irritant and non-sensitising. Use as part of a massage blend and apply to the chakras or onto reflex points on the feet. A fantastic oil for natural skin-care.....and especially for mature skin. Its rejuvenating properties help reduce wrinkles and fine lines and also helps improve skin tone. It is especially useful for skin that has been sun-damaged or for ageing skin - unfortunately a matter for all of us eventually! Elemi essential oil can be irritating to very sensitive skins, so it should not be used on the skin of babies. Do not use during pregnancy or breast feeding without first consulting your doctor or natural health professional. Put a few drops in a diffuser/burner to help calm you down if you are feeling stressed or emotionally fraught. Put a few drops in a hot bath to help relieve nervous exhaustion. It's a good idea to mix the drops in a small amount of milk first (essential oils mix better with fats) and then add! Use blended in a base oil for aromatherapy massage to help with stress, nerves and respiratory complaints. Use mixed with a carrier oil, cream or lotion and directly apply to help with skin complaints or infections. Use as a steam inhalation for catarrh and sinusitis. The name 'Elemi' has Arabic origins and means 'above and below'. This was meant to infer that the resin from the tree was valuable both spiritually and physically. Elemi is locally called "Pili" in the Phillipines. It was used by the Ancient Egyptians in the embalming process. Luckily you are more likely to find it in soaps and incense these days!